Few things in life feel as good as tooling down a country road (or the New Jersey Turnpike) in a full-size, body-on-frame SUV, just the way God intended. People from other countries don't hate us because we do stuff like this. They hate us because we can. Is it wasteful? Sure. Is there anything awesome that isn't? Is raising prime beef a waste of pasture, in the sense that you could farm that same land and feed way more people? Of course. Listen, Bill Gates is trying to save the world but he lives in a mansion the size of Peru that probably wastes more BTUs than those indoor ski resorts in Dubai. If he doesn't feel guilty, why should we? Just give some money to charity, help an old lady or two across the street and move on with your life. Where else but in America can you drive around in vehicle that qualifies as real estate in other countries? The spaciousness is intoxicating. While the Chevy Tahoe, GMC Yukon and Cadillac Escalade are all nice and big, what you really want are the stretched versions. After all, if you're going to go big, do it right and get yourself a Suburban, Yukon XL or Escalade EXT. It's not just because they're the last of a dying breed. It's because they are, as they always have been, very good to own and drive. With a long wheelbase and a solid frame, the ride is a delight. When you hit a pothole in one of these, the truck hits it right back. All you feel is a distant thud. On the highway, you can tilt the steering wheel down to your balls and control nearly six thousands pounds of glorious American steel with just your fingertips. And don't kid yourself. It feels great to know that, if you want them to, people will get out of your way. Under the hood there's a V8 engine. (Once again, let us pause to thank Him.) It rumbles distantly, but makes its presence known when you dip into the throttle. Driving these is like driving a speedboat, except on land. It's big, but quick, and surprisingly nimble. Roll down all the windows and open the sunroof on a warm evening and we defy you not to think it doesn't get any better. Such a euphoric experience doesn't need much enhancement, but what the heck, if we're gonna be hedonists let's not skimp. That cigar you like? Bring it along. In fact, bring a bunch because there's plenty of room in the center console for a full 25-count humidor and all the cutters and lighters you could ever need. 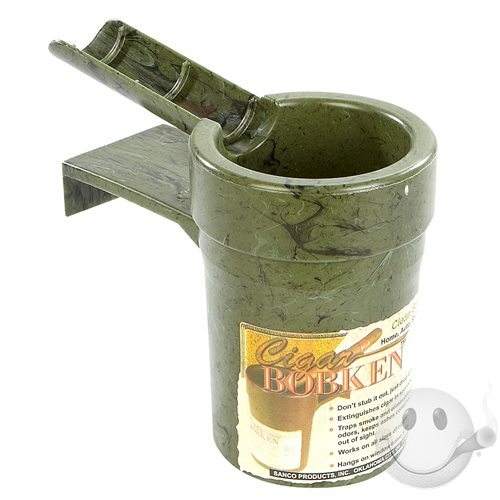 There's also room in the many cupholders for a nice, big ashtray like the Cigar Bobken. Speaking of cupholders, they're everywhere, and big, so whether you want a large coffee or a Big Gulp, it'll always be close at hand. Generally speaking, the things wear like iron. The interior materials can be a little hard and plasticky. Parts like window regulators can need early replacement, but have you seen the size of the windows they have to regulate? You'd wear out too if you were pumping that many pounds of glass. The drivetrains and particularly the engines can easily last into the 200- to 300,000-mile range and beyond with loving maintenance. Like that old bomber jacket in your closet that you'd never even consider parting with, these are vehicles that are best kept for a long time and handed down. That's why we're a little worried because an all-new generation of these is due for the 2015 model year. We love our Cowboy Cadillacs just as they are, so we hope GM understands why we love them so much. That fabulously comfortable ride. The cavernous, quiet interior. The big seats. All that storage. The rumble and torque of the V8 engine. The invincibility of knowing you're driving a vehicle that can flatten any obstacles in its path. The reassurance of owning something that lasts. Somewhere in Europe, there's a guy who likes cigars driving around on a muddy road in a Range Rover, and he sort of gets it. But not like we get it. GM's full size SUVs are the kings of the wide open spaces. Let's hope it stays that way.